After the tragic plane crash which claimed the lives of Emiliano Sala and pilot David Ibbotson last month, an expert has offered more insight into the incident. 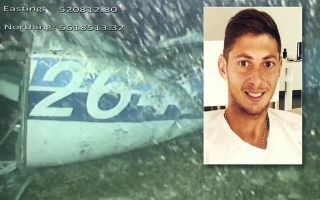 Sala was formally identified after the plane was found this week, after it crashed in the English channel on January 21. Ibbotson’s body has not yet been recovered, but it’s hoped that with the help of a GoFundMe page set up by his daughter, that the family can get closure on the heartbreaking tragedy. Former RAF instructor David Learmount has been speaking on the crash itself, and has told The Times that Ibbotson would have had some control over the plane given the way in which they found the wreckage. He noted that the pilot had “not absolutely, completely lost control. “Nobody dives an aircraft into the sea knowing they are diving the aircraft into the sea. You pull the nose up. That would suggest that there was a controlled descent, although it’s unclear as this stage as what ultimately forced the plane to crash-land en route to Cardiff. An inquest will naturally take place, but ultimately it’s the families of the two victims who remain most important in what will undoubtedly be a hugely difficult time for them.